Matthew Howard joined Moore Ingram Johnson & Steele in 1989 and currently serves as senior partner in the firm’s Captive, Estate Planning, and Tax Departments. Matthew specializes in both Micro Captives and Estate Planning and has served as an active member of the Estate and Gift Tax Committee of the American Bar Association Tax Section since 1996. 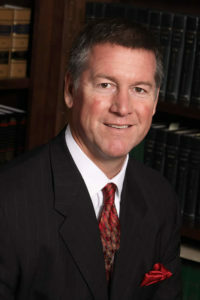 In addition, he heads up the firm’s Tax Litigation Department, handling disputes for individuals and corporations before the Internal Revenue Service, as well as litigating against the Commissioner of Internal Revenue Service in the United States Tax Court and the Department of Justice in United States District Court. Matthew stays involved in the firm’s larger merger and acquisition transactions, providing valuable tax advice to either the purchaser or seller. As of 2016, MIJS Captive Management, LLC manages over 120 small captive insurance companies domiciled in Alabama, Delaware, Hawaii, Kentucky, Montana, North Carolina, Nevada, South Carolina, and Utah for privately held businesses throughout the United States. MIJS Captive Management, LLC is a member of Self-Insurance Institute of America, Inc. (“SIIA”) and is actively involved in legislative issues involving captives. Born in Columbus, Ohio, September 28, 1960, Matthew was admitted to the State Bar of Georgia in 1989 after receiving his Economics degree from Vanderbilt University in 1984, and his J.D. from Capital University Law School in Columbus, Ohio. Matthew transferred to Emory University Law School to complete his third year of law school and to obtain his Master’s Degree (LL.M.) in Taxation in addition to his law degree. Matthew and his wife, Suzanne, are members of Peachtree Presbyterian Church and are involved with Whitefield Academy, where their younger children attend. Their lives are filled with the activities of their five children: Taylor, Patrick, Charlotte, Noah, and Jordan, and their four English Labradors.